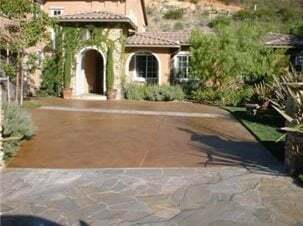 Sealing a driveway not only extends it service life, it will also improve the appearance of decorative concrete by enhancing the color and gloss. Applying sealer to a driveway is not difficult, and in most cases a standard residential driveway can be sealed in less than a day. The most common types of film-forming driveway sealers are acrylic-resin based. Acrylic sealers provide the best performance characteristics for the cost, and they often are blended with epoxies, polyurethanes or silicones to improve performance, durability and water resistance. Acrylics, themselves, are also available in different forms, with some types delivering better performance than others. Styrene acrylic, for example, is a lower-performance acrylic resin that may yellow and degrade when exposed to direct sunlight. 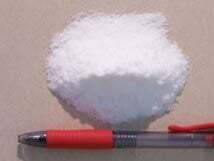 The best type of acrylic is a virgin or pure acrylic resin. These sealers will last longer than styrene acrylics, with no yellowing. Buying tipsBefore buying any driveway sealer, read the technical data sheet as well as the product label. Most suppliers will have technical data available on their websites, and it can tell you a lot about what you're getting. Key words or phrases to look for are non-yellowing, waterproofing, dust proofing, breathability and resistance to oil, grease, and acids. The product should have detailed instructions on how to apply it as well as recommendations for maintenance and re-application. Also ask the people behind the counter at the concrete products supply store for their recommendations. Which concrete driveway sealer do they sell the most of and have the fewest number of complaints or call backs about? It's always better to spend a few extra dollars on a concrete sealer with proven performance than to go with a cheaper product that may fail early and require stripping and removal. Other types of topical sealers for driveways are polyurethanes, epoxies and penetrating resins. Generally, epoxy or polyurethane sealers cost considerably more than acrylics and they tend to be higher build, and thus more slippery. They also don't allow for moisture vapor to move out of the concrete. It's important that sealers used on exterior concrete allow the passage of both air and moisture. 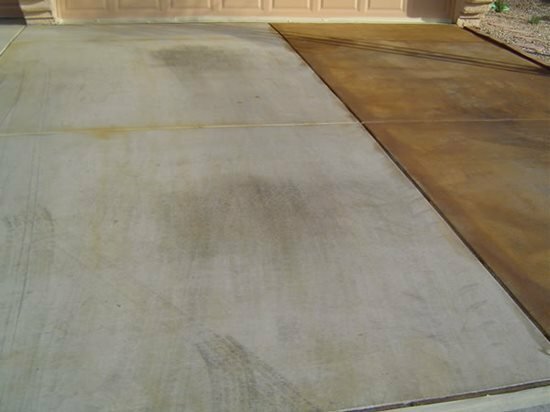 If a sealer does not allow for this movement, especially moisture, white hazing or fogging can occur between the sealer and concrete (see Preventing Moisture Problems). Penetrating sealers are made of specialty resins (silicones, siloxanes and silanes) that penetrate into the concrete and form a chemical barrier to water, oil and other common contaminants. WHAT IS THE BEST CONCRETE SEALER FOR DRIVEWAYS? To simplify the selection process, I have broken down the most important factors to consider into three categories: Safety, Appearance and Performance. Just remember the acronym SAP. The key consideration when sealing a driveway is safety. You want the surface to be slip resistant once the sealer is dry. Most sealers designed for use on driveways will meet federal standards for slip resistance (also known as the coefficient of friction) when the surface is dry. But this doesn't account for how slippery the sealed surface is when wet. Slipperiness is determined by the amount of texture in the concrete, combined with the thickness of the sealer. Typically, the more sealer resin that's on the surface and the shinier the surface is, the greater the potential for a slippery surface. For example, a smooth concrete surface with a thick "wet-look" film-forming sealer (see Concrete Sealer Types) will be very slippery when wet, while a stamped or heavily broom-finished concrete surface with that same wet-look sealer will not be as slippery. If you use a lower-gloss or thinner sealer, the surface will be even less slippery. Another option is to add a grit or anti-skid additive directly to a film-forming sealer as it's applied. There are several different types, ranging from clear polymer or plastic grit to white silica sand (see Making Concrete Slip Resistant). These additives help, but only to a certain point. For the ultimate in safety, consider using a penetrating waterproofing sealer rather than a film-forming product. 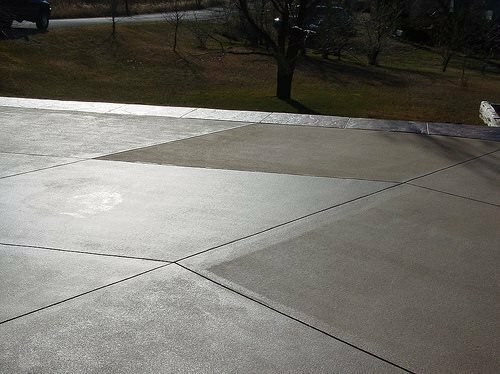 A penetrating sealer produces no gloss and will not contribute to the slipperiness of the concrete surface. Always test the sealer in a small, inconspicuous area on your driveway, in both dry and wet conditions, to ensure that it meets your safety needs. In terms of color, solvent-based film-forming sealers tend to darken or enhance the color of the concrete more than water-based sealers. Sealers with a higher solids content will also result in more darkening or color enhancement, giving the surface that wet look some people find desirable. The higher the solids content of a sealer, the higher the level of gloss. For example, an 18% solids content usually provides a semi-gloss finish while a 30% solids content will impart a high gloss. Penetrating sealers do nothing to change or enhance the color of the concrete. If you're looking for a more realistic and natural stamped driveway, high gloss sealers should be avoided. “I hardly ever get any customers asking for a gloss look any more,” says C. J. Salzano of Salzano Custom Concrete in VA. “The trend is matte or a no-gloss look, very natural. After all, aren’t we trying to simulate natural stone? I don’t know many stones that are naturally glossy.” Sealers that provide color enhancement without producing a wet or glazed appearance can be found. These new-generation sealers for stamped concrete come in both solvent- and water-based versions, and they are gaining wider acceptance in the industry. You can also use penetrating sealers, which were rarely used in years past, but are also starting to gain mainstream acceptance. Not all driveway sealers are alike (even those in the same product category), and no driveway sealer will last forever. Depending on the type of sealer used and exposure conditions, a sealer may last anywhere from 1 to 3 years. The type and quality of the resin makes a big difference in how long the sealer will last and how well it will perform during its life cycle. Without going into a doctoral thesis on the chemical makeup and performance characteristics of driveway sealers, let's just say that you typically get what you pay for. Lower-cost sealers bought at your local hardware store usually can't match the quality and performance of commercial professional-grade sealers bought at a concrete materials supply house. The two most common methods of applying sealers to driveway surfaces are by roller or sprayer. Always refer to the manufacturer's recommended application guidelines. As a general guide, solvent-based sealers are best spray applied while water-based sealers are best applied by roller. Whether you are rolling or spray applying a sealer, always strive for maximum coverage. The typical coverage rate is 250 to 300 square feet per gallon. It's best to apply two thin coats, making sure the sealer doesn't puddle or form uneven, thick areas. Decorative concrete expert, and vice president of sales and marketing with ChemSystems Inc, Chris Sullivan, provides in-depth answers to common problems associated with sealing concrete driveways. Question: Why do car tires leave black marks on my sealed driveway? How do I avoid this and remove the existing tire marks? These black tire marks could have been prevented by using a different type of sealer. Answer: This is a phenomenon called "plastizer migration." Plastizers are polymer compounds added to rubber, glue and plastic to make them flexible. The rubber used to make car tires contains plastizers to improve traction. But when the car is driven, the tires heat up, causing the plastizers to soften and leach out of the tire. When a hot tire is parked or driven on certain types of sealers, the plastizers migrate into and discolor the sealer. The better the tire quality, the higher the quantity of plastizer-and the greater the chance for hot tire marking. Lower-quality tires are harder and contain less plastizer, so they usually result in less hot tire marking on sealers. If switching to harder tires is not in the cards, then consider using a different type of sealer. When a sealer cures, the resins cross link, forming a sticky tangle, like a bowl of undercooked spaghetti. All sealers exhibit some degree of cross linking. The greater the cross linking, the denser the coating and the more resistant the sealer will be to hot tire marking. Most hot tire marks occur on acrylic sealers, which exhibit minimal cross linking. Using a higher-solids acrylic or a high-solids, highly cross-linked polyurethane or epoxy sealer will reduce hot tire marking greatly. These sealers form very dense films that limit or prevent plastizer migration. Striking a good balance of sealer durability and density will make all the difference when sealing driveways and garage floors. To get rid of discoloration from hot tire marking, cleaning the surface with a concrete degreaser may be all that's needed, depending on the level of discoloration. If the discoloration has migrated deep into the sealer, you may need to loosen the affected areas with a solvent or totally remove the sealer with a chemical stripper. Poorly mixed sealer covers the light areas of this driveway while the dark areas are covered by the full-strength product. Question: This driveway was integrally colored and has a very light brush finish. The concrete was all the same color before sealing, but dramatic color differences occurred after sealing (see photo). The whole driveway was sealed with one coat of a water-based acrylic sealer. The sealer is in good condition with no failures. What caused the light and dark color differences, and how do I make the whole driveway uniform again? Answer: I found this situation a bit perplexing at first, and had to do some digging to figure out what happened. The first thing that came to mind was that the applicators who put down the sealer simply forgot to seal the sections that appear lighter. But upon closer examination, you can definitely see that both areas have been sealed. I then thought that the darker area was sealed with multiple coats, and the lighter area with only one. That idea was shot down when multiple parties confirmed that the entire area was sealed with only one coat of sealer. The break came when one of the applicators stated that three 5-gallon pails of sealer were used on the driveway. Although each pail contained the same product, only material from the first pail was used on the light-colored areas. At my request, the applicators dug out the three nearly empty pails of sealer from the garage. A 1/4-inch-thick layer of resin remained at the bottom of the first pail, indicating that it wasn't thoroughly mixed prior to application. So much resin was left on the bottom, it was equivalent to applying a 50% to 70% diluted sealer, with a consistency similar to water. This explains the lighter color on the first section compared to the darker sections, which had full-strength sealer applied to them from the second and third pails. Over time, water-based sealers can separate. Always stir the sealer prior to application to make sure all the resin is in solution. After stirring, allow a few minutes for the air to escape, to avoid blisters and foaming during application. Fortunately, the fix in this case is easy. A second, very light application of sealer (properly mixed, of course) over the lighter areas should bring those areas into uniformity with the darker sections. Question: I have a colored, exposed-aggregate driveway. Over the years, the sealer has become more and more cloudy. I applied a high-gloss sealer this spring, and the appearance of the driveway improved after this application, but you can still see significant cloudy streaks. I think I need to strip the sealer and reapply. What are your suggestions? What products should I use? Answer: After too many reapplications of sealer, there comes a time when the coating can no longer breathe. When this occurs, moisture builds up and condenses under the sealer, making it turn white and cloudy. It typically does not occur in all areas and often appears random and streaky. After time, the sealer can also start to delaminate (come away from the concrete or previous layer of sealer), which will only make the cloudiness worse. It sounds like you have reached the point where you have too much sealer, and as you suspected, it is time to strip and start over. I would start by contacting the sealer manufacturer and ask what they recommend using to strip their product. In general, a good-quality chemical stripper will do the trick. (see The Best Method for Stripping Sealers). It may take multiple attempts to get it all off, depending on how many layers of sealer are on the slab. After stripping the sealer, scrub the surface with soap and water, followed by rinsing with clean water. Hot water is better if you can arrange it. Let the driveway dry for a minimum of 24 hours, then reseal with one or two thin coats of sealer. Question:What caused the sealer to fail on this stamped driveway after only 6 months? Answer:This project was placed using a light beige color hardener for the base color, followed by stamping with liquid release and a slate-patterned seamless skin. The secondary accent color is a medium-brown acrylic/alcohol tint. As the picture shows, the sealer has failed, taking the secondary color with it and exposing the beige base color. The failures occurred only in low areas of the stamped texture and the driveway, as well as next to the control joints (not shown). There are two triggers at play here causing these failures. The first is overapplication of the secondary accent color. 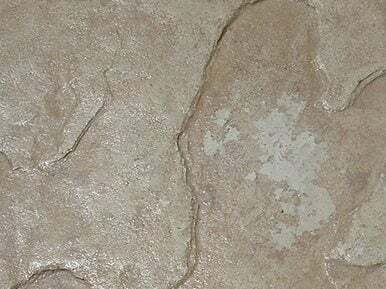 With most stamped concrete projects, the secondary color should make up only 10% to 20% of the visible color, whether the color is from a release powder or, as in this case, a liquid tint. On this stamped driveway, the secondary tint makes up over 90% of the visible color. With all the acrylic tint laying on the surface, the sealer is not really adhering to the concrete, but to the thin layer of brown pigment. Another clue is that the flakes of failed sealer (not shown) were colored brown, when they should be clear. The second trigger is moisture. These failures occurred in early spring, two weeks after the area experienced a 30-inch snowstorm. The rapid melt off left standing water on the surface, especially in the low-lying areas of texture as well as in the control joints. Pour drainage and slope caused this standing water to penetrate the already weak sealer, and failure occurred. If the sealer had been well adhered, discoloration might have occurred but probably not failure. Chances are the remaining areas of the driveway will fail over time because of weak adhesion caused by overapplication of the secondary color. The fix for this driveway is to strip all the sealer. This process usually removes the excess offending secondary color as well. Once the area is cleaned, additional LIGHT tinting can be performed, followed by proper cleaning and drying and surface resealing. Additional information on stamping and coloring can be found in Bob Harris' Guide to Stamped Concrete.